Everybody is talking of how good water is for you and how you should have at least 8 cups of water per day. In the rush of the day, between working, taking care of the kids, cooking and coping with life, you find yourself at 10 PM having ingested nothing more than the rushed cup of water that replaced your breakfast. Should you go ahead and pour down your throat the remaining 7 cups until you feel like fish could live into your belly? I’d say that is not the way to go about it. I have heard this so many times that it has become my second nature to talk about the simple Rule of Four. You only need to remember 4 times a day to drink water and thankfully there are no strict hours. Two times you have to remember is morning and evening; right upon wakening drink 2 cups of water and as early as you can remember before sleeping but after dinner, have another 2 cups of water. Here we go, 4 cups down! The rest of the cups are simply split by half, 2 cups anytime between breakfast and lunch and another 2 between lunch and dinner. See how simple it is? You can also carry a bottle of water and sip throughout the day if that feels easier, but if you have a hard time remembering to keep drinking, the Rule of Four should always do the trick. Oh, let me give you a tip! Do no drink more than a few sips of water anytime during eating and 20 minutes before or after eating. This would only make the digestion process longer and even induce bloating. Why water is so important could have endless answers but think about this – our body is about 70% water, while our brain 85%; how long can we survive without water – 5 days at the most. Water is essential for living, if we drink less water than the average 8 cups we will probably not die of dehydration but there will be overall effects and imbalances in our body. And if you are thinking what I am thinking, the answer is NO – coffee, soft drinks, and beer do not count – the average 8 cups refers to pure water. Pure water is a sensible matter though, on one hand you would think bottled water is safe but then chemicals from the plastic it has been sitting in might leak into the water, while tap water has been shown to have many chemicals and harmful organisms. What is the solution then? There are many water filtration systems nowadays that can unfortunately take out important minerals as well, but at least you do not ingest the more dangerous and potentially harmful ones existing in the unfiltered water. If you use to drink very little water, and have decided to take my advice, you should increase the water intake gradually; going suddenly from 1 cup to 8 cups of water a day might be too hard on your kidneys. In addition, if you have a kidney disease, congestive heart failure or use a diuretic, consult a health care provider before increasing the amount of water. Let’s end our surfing by talking about AVERAGE – you should bear in mind that words like average, moderation, and balance apply differently and vary from one person to another so much that the end result can be disastrous. So what is the 8 cups average? The easiest way of figuring out how much water you really need is taking your weight as reference. For every pound of body weight you need half an ounce of water. If you weigh 140 lbs, multiply it by .5 and you will have 70 ounces of water, which is about 8 to 9 cups. Another thing to keep in mind is that strenuous exercise, heavy work, and living in a warm climate will increase your water needs, while watching TV all day long, typing and thinking about doing some exercise will decrease the needs. Now, how about some water? READY, STEADY, DRINK! I made sure I had my glass of water this morning! Thank you for sharing your knowledge. I did too! This is as much as a lesson for you that is for me. 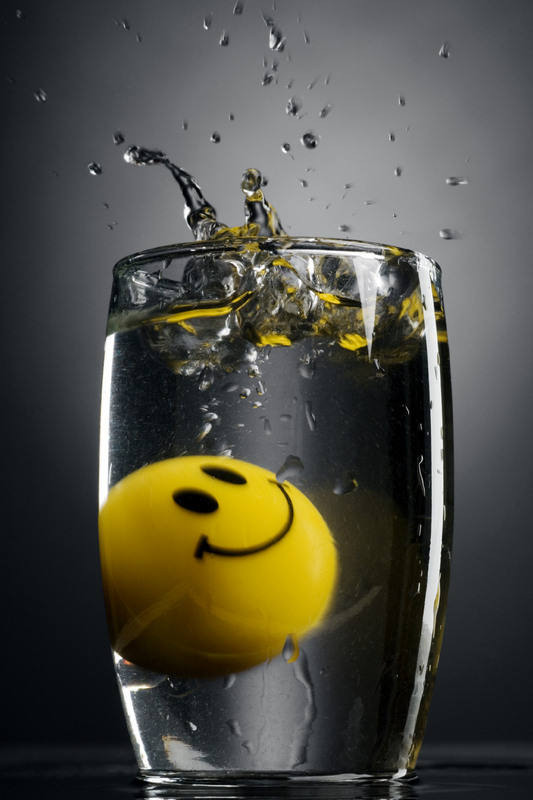 Thank’s Dr Damiana,….. i often keep sipping ‘warm’ water instead of plain simple water. Keeps away sniffles and cold for most part and they said it’d help me lose weight!! ha ha!! Yet to see any results on that part!! You are funny, it still counts, even after deep fried snacks :). And yes, warm water is much preferred, iced water is particularly not reccomended. In fact, people that fast for more than a few days only consume warm water. I also find that drinking green tea all day long could be very pleasant. I use a batch of green tea in the morning and I keep adding hot water during the day. Of course, the green tea quality needs to be outstanding, one should avoid the prepacked ones as you cannot check for color and freshness.